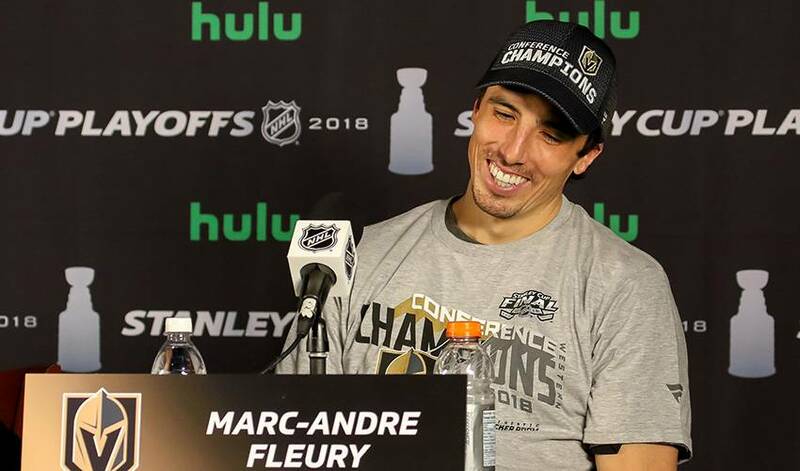 LAS VEGAS — It didn't take long for Marc-Andre Fleury to fall in love with his new hometown during his first season with the Vegas Golden Knights. "My family loves it. too. Great schools, great neighbourhoods, lots to do for the kids and I feel very fortunate." "It's always something I wanted and like to do, so when the season starts you're not thinking about the rumours, where you can be traded to, I've been through that already," Fleury said. "Just to have that security to be here for a long time was big for me."